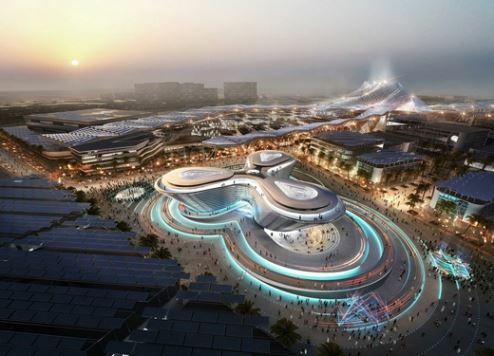 Expo 2020 Dubai has revealed it will team up with leading global professional services company Accenture to create a powerful and engaging digital experience for the millions of visitors it expects to attend the mega event. From information security and customer relations to virtual assistance and geolocation services, the newly-appointed Digital Services Premier Partner and Systems Integrator will play a key role in ensuring the first World Expo in the Middle East, Africa and South Asia (MEASA) region is one of the fastest, smartest and best connected places on Earth. To achieve this, Accenture will work with Etisalat Digital, a business unit of the international telecoms and technology service provider, Etisalat, which is Expo 2020 Dubai’s Premier Telecommunications and Digital Services Partner. Over the next few years, Accenture and Etisalat Digital will be exploring ways to enhance the Expo experience using digital services. Examples of these services could include a virtual assistant guiding visitors around the Expo site or even allowing them to pre-order their meal at a restaurant using smart technology. Accenture and Etisalat Digital could also help participants and partner companies evolve their offerings by analysing who is visiting their pavilion, as well as training staff and volunteers to make sure they have all the necessary skills and knowledge to meet the needs of the millions who will attend the Expo. “We are delighted to welcome Accenture as our Digital Services Partner,” says Her Excellency Reem Al Hashimy, UAE Minister of State for International Cooperation and Director General, Bureau Dubai Expo 2020. With more than 180 countries expected to participate and up to 60,000 visitors every hour, Accenture’s role will be critical to ensuring the Expo experience is a memorable one. The partnership deal with Accenture was recently signed by His Highness Sheikh Ahmed bin Saeed Al Maktoum, chairman of the Expo 2020 Dubai Higher Committee, and Gerardo Canta, Accenture’s communications, media & technology lead for the Middle East, Africa, Russia and Turkey. Accenture is an ideal partner for an event the scale of Expo 2020 Dubai, which is anticipated to attract at least 25 million visitors between October 2020 and April 2021. The company has experience across 40-plus industries in more than 120 countries and when you take into consideration the power of the Accenture Innovation Architecture and the presence of the Accenture Digital Acceleration Centre in Dubai, as well as the firm’s previous involvement at Expo Milano 2015, where it was Global Systems Integration Partner, it is an obvious choice. Accenture’s expertise in integrating systems and creating innovative solutions means it will have a vital role to play in delivering the overall theme of the Expo, ‘Connecting Minds, Creating the Future’. “Accenture, Etisalat Digital and Expo 2020 Dubai share a goal of joining together businesses, systems and people around the world,” says Canta. Accenture joins a number of global brands – including DP World, Emirates Airline, Etisalat, SAP and Siemens – who have been named Expo 2020 Dubai premier partners.